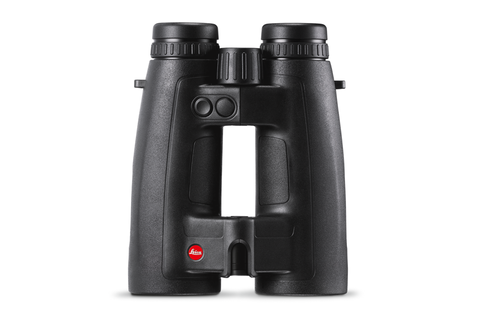 With the new Leica Geovid 8 × 56 HD-B and 8 × 56 HD-R (Typ 500) binoculars, Leica Camera AG, Wetzlar, has once again raised the bar with its successful Geovid series. These new top-of-the-range models boast outstanding lens speed thanks to a lens diameter of 56 mm and enhanced transmission of around 90%. Coupled with the HD lens design and optimised Leica aperture system, the patented Perger-Porro prisms offer outstanding suppression of stray light and maximum contrast. 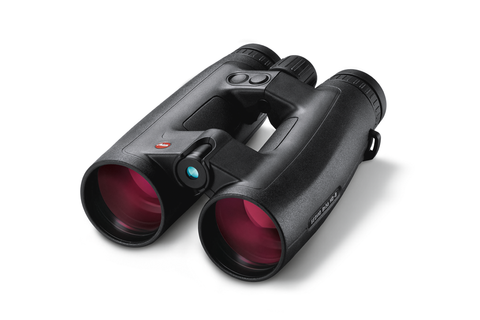 The Geovid 56 models are nonetheless impressively compact and are barely larger than a comparable pair of binoculars with 42 mm lenses. The new models combine the innovative ABC® ballistics function with the proven reliability and outstanding properties established over many years and offer valuable additional benefits, particularly for angle shots and difficult terrain. The Leica Geovid 8 × 56 is available as both an HD-B and HD-R (Typ 500) model. Both pairs of binoculars are able to measure linear distances of up to 1825 metres (2000 yards) in the blink of an eye (max. 0.3 s) and feature the EHR ballistics function, which allows the user to display the equivalent horizontal range for angle shots at distances of between 10 metres/yards and 550 metres/yards. The algorithm developed by Leica takes not only the linear distance and angle into account, but also includes a realistic ballistic curve. As a result, the Leica Geovid HD-B and HD-R (Typ 500) binoculars offer unbeatable precision and maximum versatility for all hunting needs. The HD-B version of the Geovid 8 × 56 also boasts the renowned ballistics system ABC® (Advanced Ballistic Compensation). Thanks to an integrated microSD memory card, users can upload their ballistic data to the binoculars. The high-precision ballistics program enables the precise determination of the point-of-aim correction and displays user-specific results within fractions of a second. When matched to their own personal hunting equipment, users have a choice of three different ballistic applications and can output results in the format relevant to their needs. Temperature, barometric pressure and angle of declination parameters are factored into the calculation for all computing options. The data is shown on the integrated LED display, which automatically adjusts to ambient lighting conditions. The die-cast magnesium chassis is extremely lightweight and enclosed in impact-absorbing rubber armouring to protect the binoculars against damage. 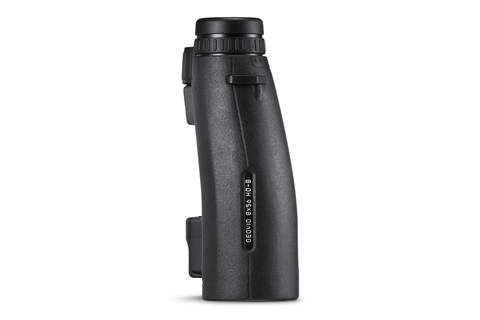 The armouring, balanced distribution of weight and ergonomic form all provide outstanding grip and make it possible to use the binoculars for long periods of time without getting tired. The Leica AquaDura® coating on the exposed glass surfaces means dirt and water on the lenses just roll away, improving viewing performance, particularly in rainy weather. The binoculars thus always provide optimum performance, even in adverse weather conditions and extremely humid environments. A further advantage of this special coating is that the lenses can now be cleaned even more quickly and easily. The Leica Geovid 8 × 56 HD-B and Leica Geovid 8 × 56 HD-R (Typ 500) will be available from September 2015. Learn more.